I love how all the working members of the Family, were included not just the Queen, the DofE, and The Wales-Cambridge family. The fact that Charles, Andrew, William appear to not be there does seem to verify that the Queen is just feeling lousy, as opposed to very ill. I did look for photos from the church at Anmer. Zilch, so far. Doesn't Charles usually spend New Years in Scotland? The Cambridges could be there with him. Yes of course and that was my point. He is doing what he always does. The Cambridge's could be with Charles or the Middletons for the New Year. 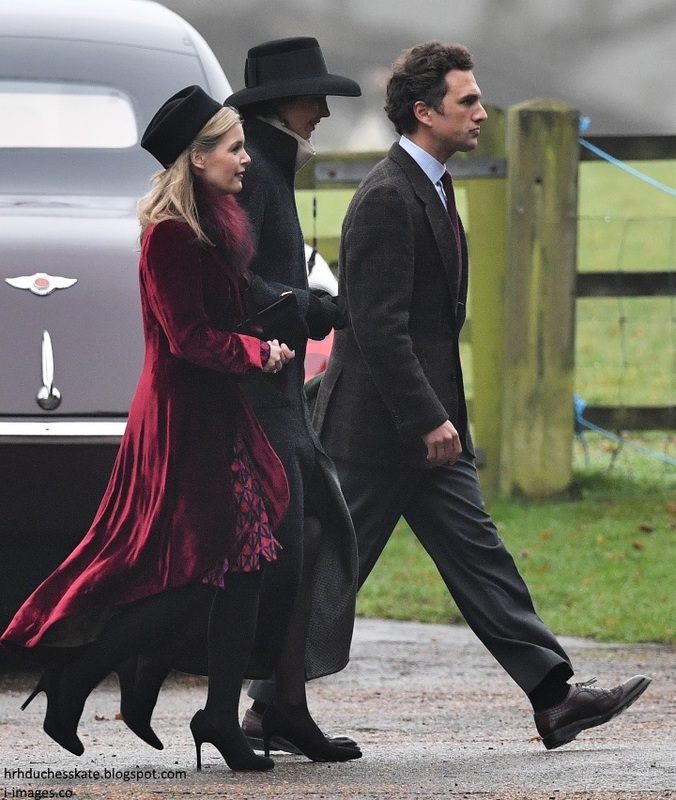 That red velvet coat is divine! Another one of Charlotte's godparents was also present - Tom Van Straubenzee. A similar house party that happened last year around the time of Kate's birthday last year. Interesting that while the kids went to church on Christmas Day, there are no signs of George and Charlotte today. Makes me think that the service at Sandringham is a bit less child friendly than the one at the Middleton's local church. Or maybe the church service at the Middletons' was a one-off because it was Christmas Day. I can see them taking the kids to church, at such young ages, on mainly special occasions. I really would not relish trying to keep a 3 year old and a 1 year old quiet for a Church service. 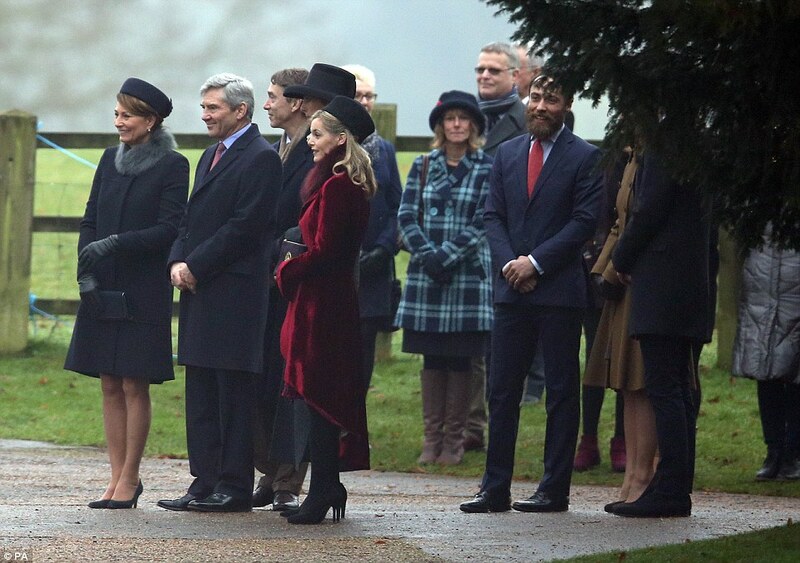 Considering its Kate's birthday tomorrow, not surprising to see her whole family and dome friends there. Technically the middletons are not staying at sandringham, the queen is not involved. They are staying at Amner hall, yes on the estate but not guests of the queen. But it's still lovely to see them interacting with the royals. As for the kids it could be a mix of things. The walk to church. Far more press here then home, especially with the quern appearing fir first time in weeks. They could also just think the kids are too young except holidays. Oh, dear. The majority of the people in this photo are clasping their hands and/or clutches in front of their bodies. Certain posters on this site must be having palpitations. It was reported at the time that the local church has a crèche and that Charlotte left the main service halfway through, but George stayed the whole time with his parents.